Longhenry Custom Homes believes that building a new home or remodeling your current home should be a fun and positive experience. We believe in forming relationships with our clients which allows us to help the homeowner get the most out of their space. 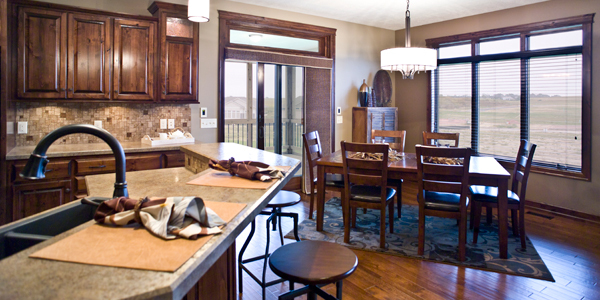 Longhenry Custom Homes has been building custom move up and executive homes in the Sioux Empire for more than 25 years. Scott Longhenry brought his experience in building and remodeling homes to the Sioux Falls area over 25 years ago. He has spent those years forming strong relationships with his customers, and his sub-contractors. guiding his clients through the process. We knew when we bought an older home 12 years ago, we would be doing improvement projects for a while. This was the year to rebuild, not just remodel, our outdated kitchen. Scott worked patiently with us to work out the design we wanted. He listened, and really heard our ideas, giving suggestions and proposing options along the way. Scott allowed us to perform a few simple functions, investing some sweat equity to help keep our project within buget. We now have a beautiful modern kitchen that we're proud to show off to our family and friends. ©2019 Longhenry Custom Homes. All rights reserved.